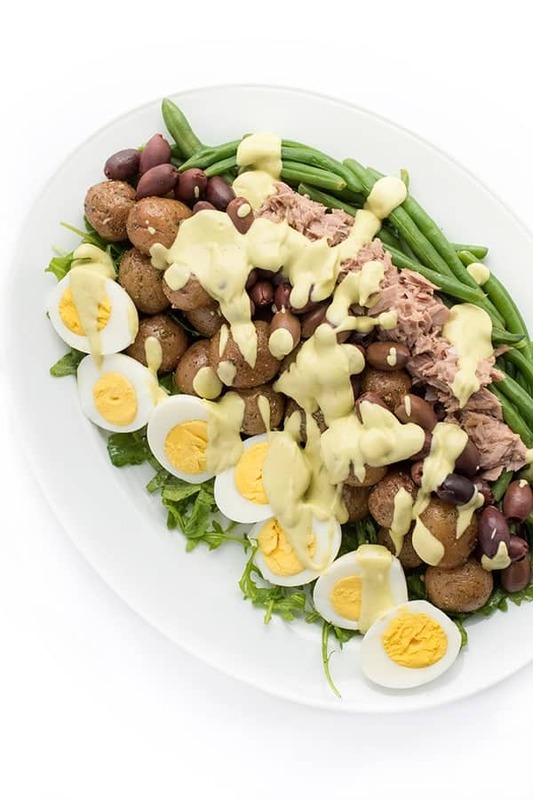 This protein-packed Tuna Nicoise Salad is drizzled with a rich and creamy avocado green goddess dressing. The holidays can be a tricky time of year to keep your healthy eating in check. Between the nonstop holiday get togethers, endless cookies and constant flow of bubbly, it definitely takes a little extra effort to stay healthy this time of year. One meal I try to always keep on point is lunch. To save time during the busy week, I like to take a few minutes on the weekend to prep ahead. Whether it’s hard boiling some eggs, cooking potatoes or making a quick homemade dressing, I’m always grateful to be ahead of the game come meal time. 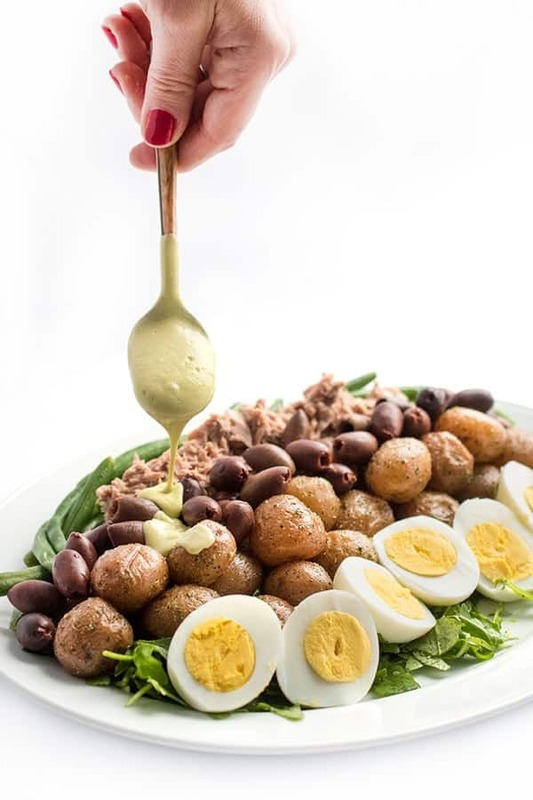 The star of this tuna nicoise salad is the rich and creamy avocado green goddess dressing. 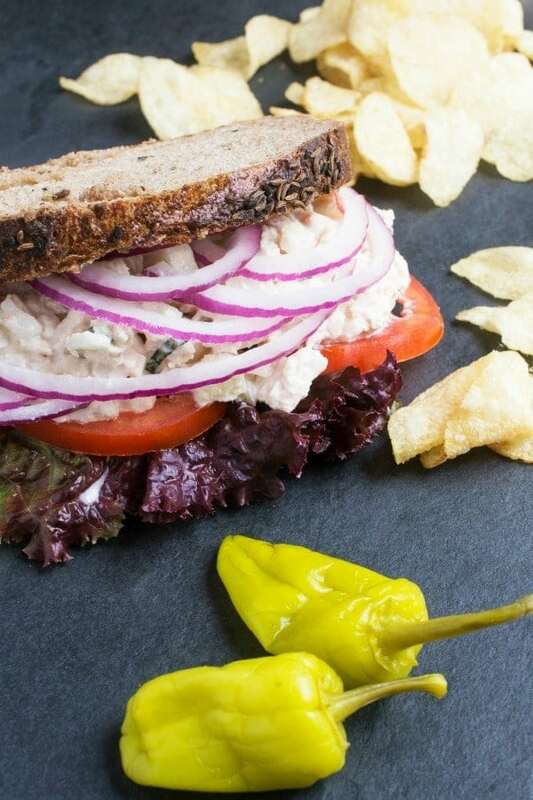 Made with nothing more than a few simple ingredients including avocado, lemon and garlic, it will last in the refrigerator for up to 7 days in an air-tight container. 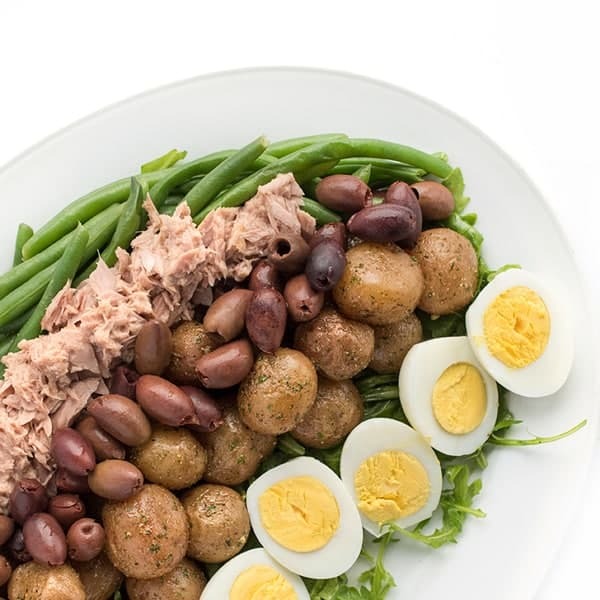 The ultimate combination of heart-healthy fats, fiber-rich vegetables and high protein toppings, this Tuna Nicoise Salad is the ideal healthy lunch or light dinner recipe. 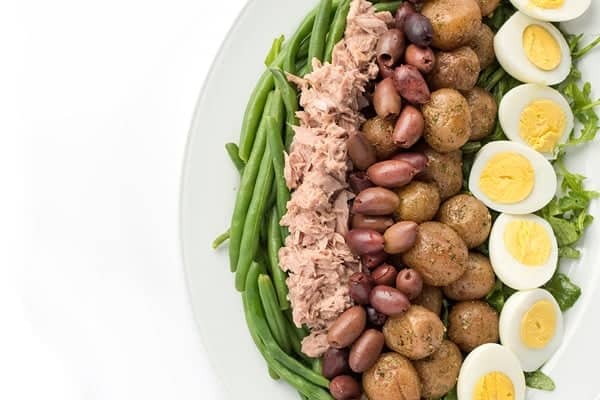 Scatter arugula leaves on a large platter and top with prepared potatoes, flaked tuna, eggs, olives and green beans. 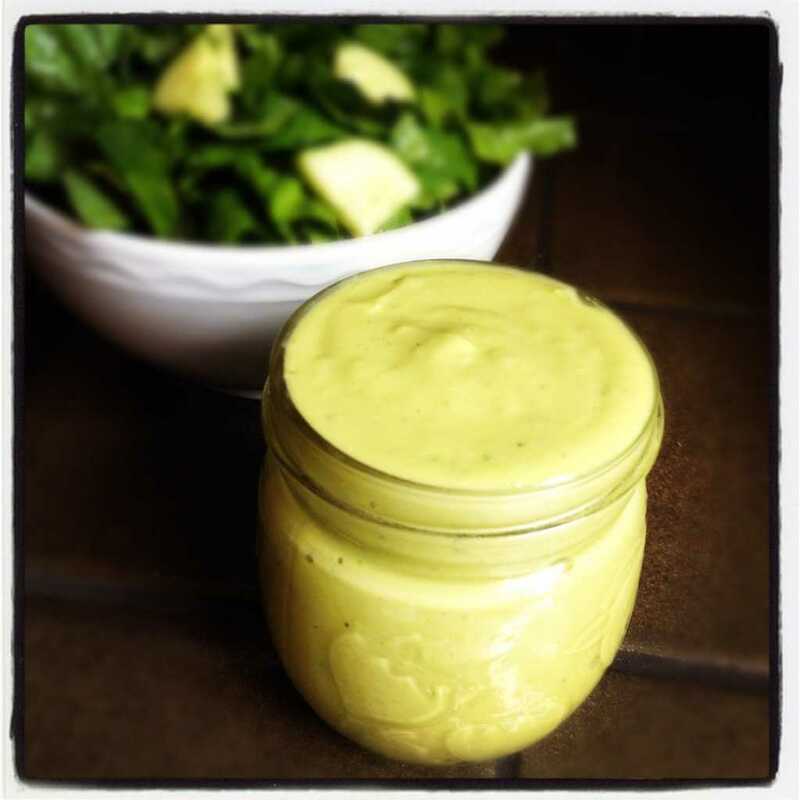 In a high speed blender or food processor, pulse together the avocado, lemon juice, garlic, salt and cayenne until smooth and creamy. 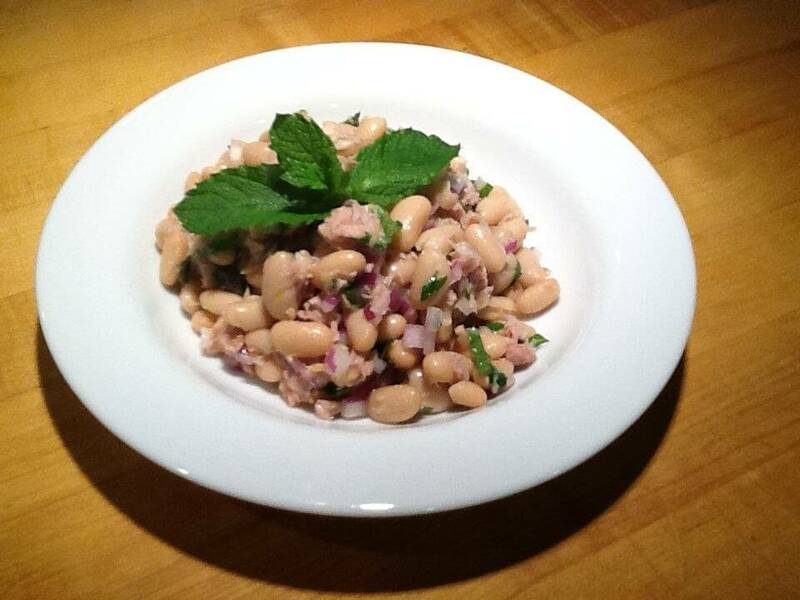 Drizzle over the tuna nicoise salad to serve. 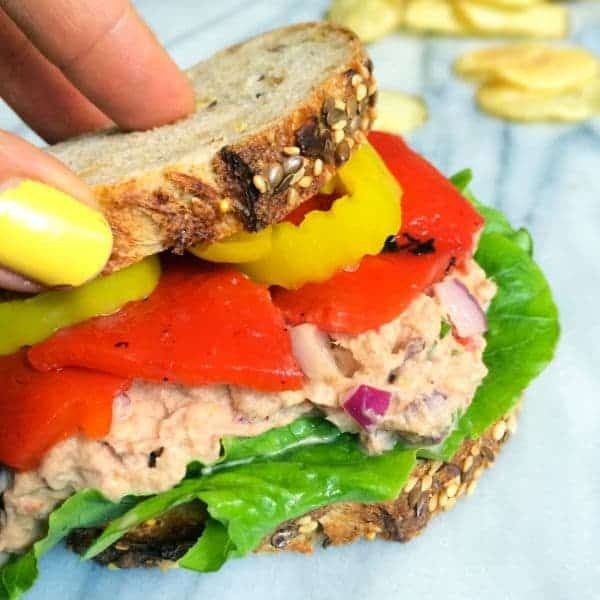 See more healthy lunch options on my Pinterest board! This has my name alllllll over it! That dressing looks like pure heaven!